"Celestial Cat" is a celebration of the feline both in fantasy and reality. Cats are very spiritual beings and can be associated with the celestial realm. 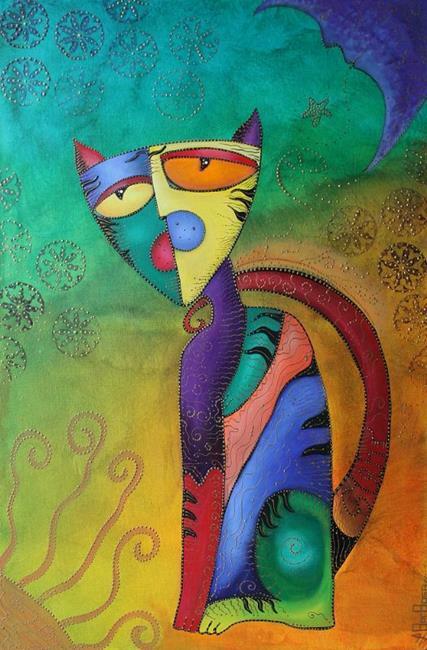 A very UNIQUE cat hand painted and highly detailed with small dots in gold metallic color and vibrant acrylic paints. If you look at the close up shots, you can see that everything in this piece has small detail and free flowing movement.